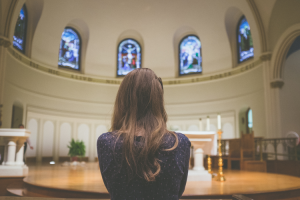 Priests are fundamental links in the transmission of divine life to humanity, and instrument for connecting heaven and earth. The priest is not an employee. His service is nothing other than a sign of God’s presence. Before everything else, he is an icon of Christ, the God-Man. “Icon” means a living, incarnate image that points to the source, to that which or the one who is above. The priest’s work as shepherd is not merely social work. It is the path by which he himself becomes an instrument for announcing God, for a constant manifestation of God that is especially realized at every divine liturgy, with the participation of the faithful present in the church as well as the angels and the saints. 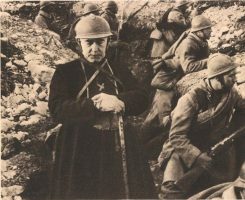 Priests are fundamental links in the transmission of divine life to humanity, and instrument for connecting heaven and earth. God is holy, above everything. He is “ineffable, inconceivable, invisible, incomprehensible, ever-existing and eternally the same”, but on account of His love for humankind, He became man in order to become the Great High Priest and and perform the divine, bloodless sacrifice through the priest who is His image, His living icon. In order for this to happen, the priest must remain in a state of familiarity with divine realities. The true priest is always in communication with God and God is constantly responding to him. He is an angel, not a man. In practice, then, he must be persistent in prayer and stay in close familiarity with the Gospel and spiritual and patristic reading in addition, of course, to the divine divine service. In this way he becomes a person filled with joy, the joy of the Lord, despite his conviction that he is a sinner. This comes not from his personal strength, but from the grace of the priesthood (the divine grace that perfects the imperfect) and from Christ’s presence in his mind and heart and in his entire life. How can he say to the people, “Peace be with all of you”, how can he transmit peace and tranquility to the faithful (especially in these difficult days) if he has not attained it within his own being? 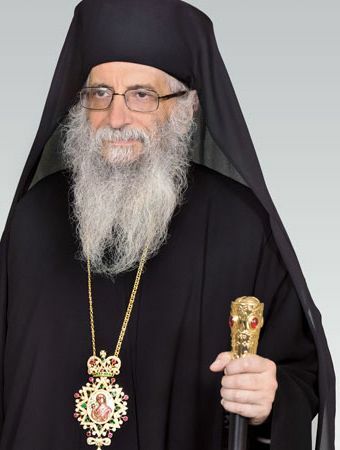 This transparency requires of him total preparedness before every service, before every divine liturgy, before every visit, sermon or talk. This preparedness helps him to distance himself, or even separate, from worldly things– “Let us cast aside all earthly cares”– because he wants to move within God’s presence and transmit his flame to the people that he wishes to encounter. True life, living presence, is not usually realized by jumping from here to there or by being constantly busy, but rather it comes about through transparent openness to God’s presence. 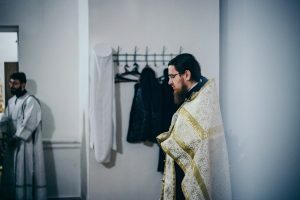 Something that also helps him acquire this transparency, especially at the divine liturgy, is passing the night before in calmness and spiritual contemplation of the Gospel. Likewise, fasting– or at least light food– and keeping vigil in prayer help very much. Last but not least, Saint John Chrysostom says that the priest or pastor must be concerned with everything, know everything, and be connected with everyone, while at the same time striving to be distant from everything, distant from everyone, in order to be united with God alone.